There have been a number of revolutionary developments in dental technology in the last few decades, from dental implants to tooth- colored fillings and Invisalign clear aligner trays. But sometimes classic treatments like crowns are the best option for repairing a chipped, cracked, or severely decayed tooth. Drs. Joseph and Nina Zeigler offer a number of cosmetic and restorative dental services in Saint Louis, MO, to help strengthen your teeth and improve your oral health. Crowns are one of the most effective dental restorations because they can be used to both replace a missing tooth, or strengthen a badly damaged or decayed tooth that might otherwise have to be extracted. When a cavity is too large to be repaired with a filling, a crown can restore function and cosmetic appearance, and protect as much of the remaining healthy tooth surface as possible. 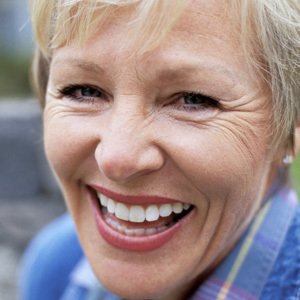 Dental crowns cover the damaged tooth to improve its function and aesthetic appearance. Crowns are custom designed for the best fit, so the dentist will design the crown to match the color and texture of your teeth for a natural finish. Once in place, a good dental crown is virtually impossible to distinguish from the rest of your teeth. With good oral hygiene and regular visits to the dentist, crowns can last for a minimum of five to ten years, often longer. If you are missing a tooth, a crown can be designed to fill in the gap. A dental bridge consists of the initial crown and two additional crowns on either side, which are placed over the teeth on either side of the missing tooth (also known as abutment teeth) to secure the crown in place. For more information, contact our office by calling (314) 872-7590 to schedule an appointment with Dr. Joseph or Nina Zeigler today.